When Peter Baldwin Panagore died on the side of a mountain, his life was forever changed. Decades later, the intense spiritual journey continues, with a story that combines the thrills of a wilderness adventure with the awe-inspiring elements of a paranormal novel. In March of 1980, college senior Peter Panagore went ice climbing on the world-famous Lower Weeping Wall, along the Ice Fields Parkway in Alberta, Canada. His climbing partner was an experienced ice climber, but Panagore was a novice. On their descent, they became trapped on the side of the mountain. As the sun set, he was overcome by exhaustion and hypothermia. He died on the side of that mountain. And in those minutes on the other side, he experienced hell, forgiveness, and unconditional love. Heaven was beautiful. Panagore�s death experience changed his life and resulted in an intense spiritual journey that has continued for decades. It impelled him to pursue a master�s degree at Yale Divinity School, focusing on systematic theology and Christian mysticism. 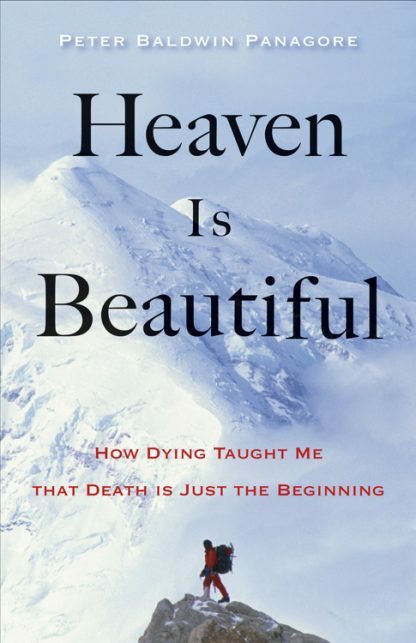 His educational background coupled with 30 years of meditative practice and 20 years of professional work with the dying and grieving has given him unique insight, language, and perspective on heaven, God, death, life, love, beauty, and hope.